Dandruff is a harmless but annoying condition that affects adults and kids. Those white flakes and itchy red scalp are most commonly caused by seborrheic dermatitis, also called seborrhea, but can be caused by other skin issues such as eczema, psoriasis and dry skin. Dandruff a common issue amongst adults and kids that can be rectified with an over-the-counter treatment such as dandruff shampoo. And if you are reading this your child is probably suffering from dandruff, which although harmless can be an embarrassing condition for kids, especially teens. That said, we’ve picked our favorite dandruff shampoos that are suitable for kids and tough enough for even the flakiest, most irritated scalps. But first, let’s take a look at the potential causes of dandruff and what you need to know before choosing a dandruff shampoo for your child. What causes dandruff in kids? The first thing both you and your child should know is that dandruff is not a sign of poor hygiene. But the true cause of dandruff remains a mystery. Some research suggests that seborrhea is caused by too much oil in the hair follicles and oil glands and that a type of fungus called Malassezia will grow. Researchers also believe that hormones can also play a role in the development of dandruff. However, those flakes can be caused by other skin conditions too such as dry skin and skin conditions such as eczema, psoriasis, and others. Another cause of dandruff can be shampooing too much or too little, as well as the type of shampoo your child is using. Flaky skin that gets worse in cold weather. Mild redness on the scalp. Patches of dry skin on face, especially on the forehead and near the eyebrows, as well as the neck. In some cases, temporary hair loss is also an issue. If the dandruff is not resolved with an over the counter treatment or if a rash forms, consult your child’s physician. It’s also worth mentioning that dandruff does run in families. So if you or your spouse have it, chances are one or all of your children could have it at some point in their lives too. Ketoconazole shampoo– Antifungal; also available in stronger versions via a prescription. Salicylic acid shampoo– Works by removing flakes, but is also drying, which can cause more flaking. Selenium sulfide shampoo– Antifungal; fights the fungus that may be the cause of dandruff. Pyrithione zinc shampoo– Another antifungal. Tar-based shampoo– Slows the rate skin cells die, thus less flaking. No one dandruff shampoo works for everyone so don’t discourage if you find that the first dandruff shampoo you purchase doesn’t work. When in doubt, consult your child’s doctor. Dandruff shampoo works a little differently than regular shampoo which means it needs a different technique when applying it. As with all shampoos, check the label first to see how to properly use it. In general, most dandruff shampoos need to be massaged into the scalp and then allowed to sit for anywhere between 2 and 5 minutes before rinsing. Then, your child can use a conditioner as normal. If for some reason your child hates the smell of the dandruff shampoo (and trust us, some have a less than pleasant smell), they can use their own shampoo after the dandruff shampoo and then condition as usual. Enough talk. Let’s get to the list! Your child has dandruff and we have the best picks for a dandruff shampoo that will fight those flakes but also give your child some shiny, clean hair. Like we mentioned before, if one doesn’t work, don’t get discouraged. You may need to see which active ingredient works best for your child’s dandruff. To get rid of itchy, dry, flaky skin, Sulfur8 medicated shampoo for kids is our top pick. Gentle enough to use every day, this shampoo moisturizes kids’ scalp and is safe for kids as young as 2 years old. One of the key ingredients in this shampoo is pyrithione zinc. Another key ingredient which you probably can guess by its name is sulfur. Sulfur can be used to treat a variety of skin conditions including eczema, psoriasis, rashes, dry skin and seborrhea. Since it contains sulfur, kids will probably not love the smell, but it’s effective and doesn’t leave a lasting smell. Sulfur and pyrithione zinc are effective in treating a variety of causes of dandruff. Not only does this work on dandruff, but it also works on babies with cradle cap and the smell can’t be beat. 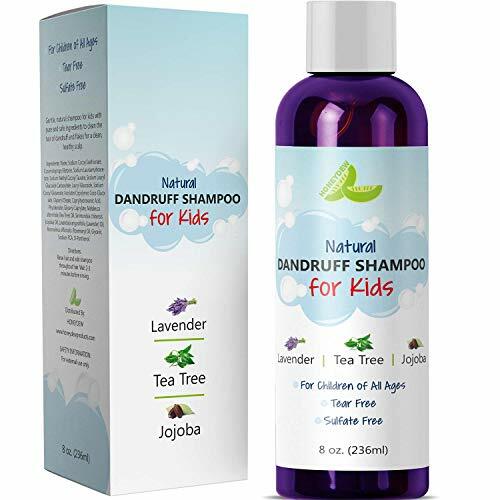 Made with 96% natural ingredients including tea tree, jojoba oil, and lavender, this dandruff shampoo is suitable for kids of all ages. Honeydew anti-dandruff shampoo is free of sulfate, parabens and other harsh chemicals and has not been tested on animals. The tea tree oil in this shampoo kills the fungus that may cause dandruff but also makes this shampoo great for preventing lice too. While the bottle says tear-free, we found that not to be the case and it burned when it accidentally got into kid’s eyes. Tea tree oil also protects against lice. Suitable for kids with cradle cap. With a blend of oils (tea tree, arnica, sage and rosemary to be exact) this anti-dandruff shampoo is effective at moisturizing and healing dry, flaky, itchy scalps. It works great for kids with dry hair too and is suitable for all ages. The naturally derived ingredients in this shampoo are gentle on kids sensitive scalps but effective at combating dandruff caused by seborrhea, eczema, psoriasis and more. It contains no sulfates, paraben, or other harmful chemicals and works by naturally nourishing scalps to prevent itching. The price is a little high, but it might be just the relief your child needs to get their dandruff under control. Natural ingredients with no harmful chemicals or parabens or sulfates. Works on all skin conditions and all ages. Essential oil blend moisturizes the scalp. It’s hard to talk about dandruff and not mention Head & Shoulders. 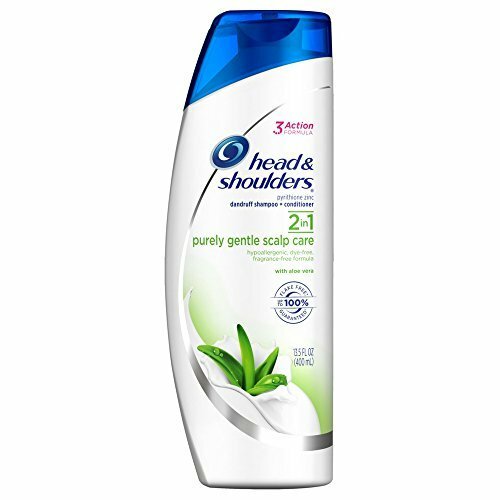 And for your child or teen, Head & Shoulders Purely Gentle with aloe is our pick. For those extra sensitive scalps that need a little TLC, the soothing aloe will moisturize dry skin, leaving it flake-free. This hypoallergenic shampoo plus conditioner is gentle enough to use every day. And best of all, the Fresh Scent technology makes this one of the best smelling dandruff shampoos out there. Aloe is soothing on the scalp. Great for those with skin conditions. Not enough conditioning. Left hair feeling dry. 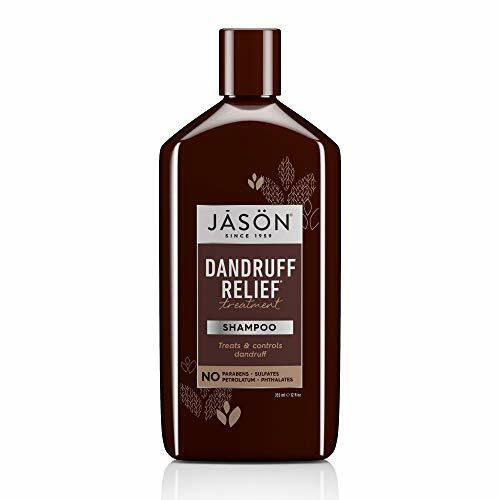 The Jason Dandruff Relief Shampoo combines both sulfur and salicylic acid for one powerful treatment for kids suffering from seborrhea, mild psoriasis, and other moderate skin conditions. It also contains olive oil and jojoba oil to moisturize and nourish hair and rosemary oil to prevent future flakes. This gentle formula is suitable for kids with extra sensitive scalps too and also contains other nourishing ingredients such as aloe vera, grapefruit extract, tea tree oil, and rosemary oil. But what’s the catch? The smell isn’t great. Your child might want to follow up using their own shampoo of choice after using it. Suitable for mild skin conditions. Powerful mix of sulfur and salicylic acid plus natural oil blend. 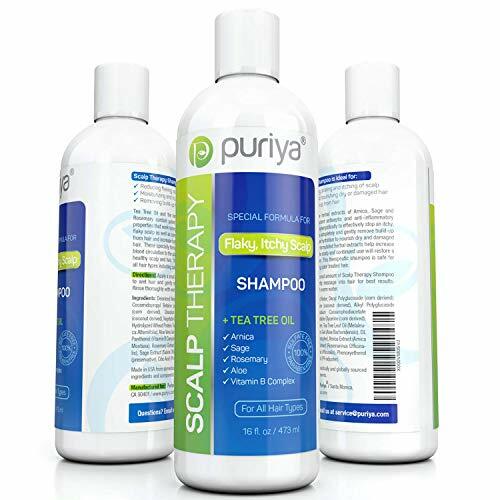 This medicated anti-dandruff shampoo uses pyrithione zinc as well as licorice root to get rid of and soothe red, dry, flakey skin. For dandruff that appears other places on the body, such as the neck and ears, this is a gentle body wash too. 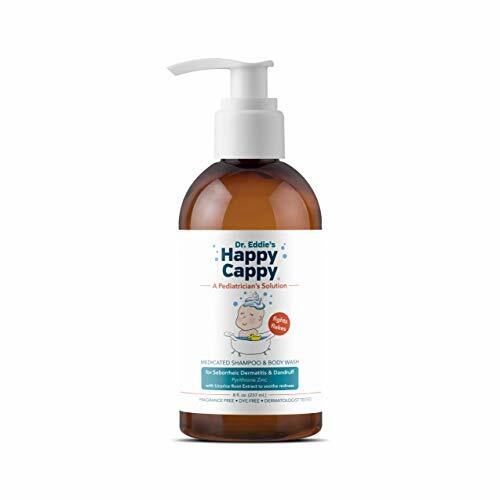 Dr. Eddie’s Happy Cappy is dermatologist tested and contains no sulfates, dyes, parabens, fragrance or harmful chemicals of any kind. This hypoallergenic shampoo also contains vitamins to prevent hair from drying out. Made by a pediatrician, tested by a dermatologist. Suitable for all ages, including babies with cradle cap. Might not be effective enough to treat moderate to severe cases or those with skin conditions such as eczema. 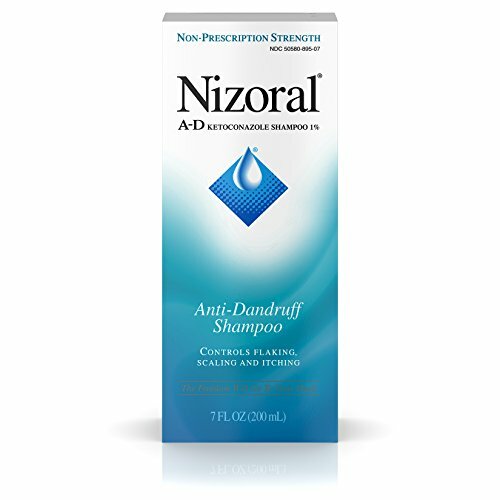 For kids 12 and over who are experiencing some severe dandruff that just doesn’t seem to want to go away, Nizoral might be the solution. This powerful anti-dandruff shampoo uses ketoconazole to fight the flakes. Unlike some of the shampoos on this list, this creates a nice lather and the smell is actually pretty good. But what makes it so great is how effective it is at treating dandruff caused by a fungus. This one is so powerful you only need to use it twice a week. That said, for kids under 12 years old though, consult your child’s doctor. It may still be a good choice, but you’ll need to check with their pediatrician first. Very effective at killing dandruff caused by fungus. Only need to use twice a week. May be too strong for kids under 12. Q: Can I use dandruff shampoo for cradle cap? A: Cradle cap is a common condition that happens to babies usually between 2 to 6 weeks of age. It is dry, yellowish and flakey and appears in patches. It isn’t typically itchy and most cases are mild and require no treatment. Do not use dandruff shampoo on your baby every day. Limit it to twice a week. Choose a dandruff shampoo that is specifically made for kids or extra gentle on sensitive scalps. When in doubt, always check with your doctor first before using any product you aren’t sure of. Q: At what age can my child use dandruff shampoo? A: As we mentioned before, most anti-dandruff shampoo can be used on kids as young as two weeks old who might be dealing with a bad case of cradle cap. But in general, most dandruff shampoos are safe for kids as young as 2 years old. Unless otherwise noted on the manufacturer’s instructions, for young children, you may want to limit to using the dandruff shampoo only 2-3 times a week. However, it’s best to talk with your child’s doctor first to see how often you can use it on your child. Q: Why is tea tree oil in a lot of the dandruff shampoos? A: Tea tree oil has antibacterial and antifungal properties and can help kill the fungus that is causing your child’s dandruff. Another added bonus of tea tree oil is that it can help protect children from getting lice. Flaky, itchy scalps are no fun. And white flakes on hair and clothes can be embarrassing. That’s why our top pick is Sulfur8 Kids Medicated Anti Dandruff Shampoo. It’s an affordable, effective and gentle enough for daily use. However, as we mentioned in the beginning, not all shampoos work for all cases. So if Sulfur8 doesn’t work, definitely try out one of the other picks on our list to see to see if it’s better at fighting off your child’s dandruff.